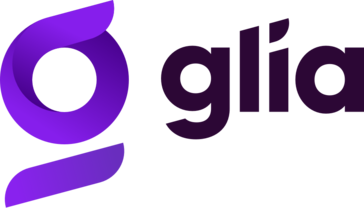 Glia enables companies to identify their highest-value website visitors, observe their browsing sessions, and engage them through live video, audio, chat, and CoBrowsing. "Excellent Tool for High Value Purchases Online"
Salemove has been truly instrumental in selling our high dollar value products online. Engagement rings are a highly emotional and expensive purchase. Getting the customer to feel comfortable is a major component of completing the sale. Salemove let's us not only meet but anticipate customer needs is a seamless almost "magical" way as described by customers. We're able to efficiently cobrowse to help them craft the ideal engagement ring, cut down on browsing time, alleviate confusion and provide real help in real time. This kind of service often becomes the reason customers feel comfortable buying with us and choose us over competitors. Cobrowsing has been a great way to connect with consumers in a personalized way. Nothing at this time. SaleMove is a great tool for any B2B or B2C company. Salemove connects us to customers anywhere and everywhere in a far better way than any other mode of communication. Live chat and cobrowsing let us offer real help in real time. It has helped us build customer trust, during the course of the sales cycle for each individual customer. Outside of specific sales, we have been able to understand consumer browsing behavior, product preferences and customer user patterns. Using this data, we've been able to make UX and product enhancements, address customer confusions and improve the look and usability of our website. Salemove is our go- to tool not only for customer acquisition but for a host of other business functions. This software allows you to see what the customer is looking at in real time. I like the fact that when using this software you can communicate with your customers and thus provide them with the support that they need. I don't have much problems with SaleMove apart from the reporting function which I think should be improved. If you company wants to improve customer support delivery then I think you should go for SaleMove. "Great omnichannel engagement tool "
SaleMove allows clients to deliver an omnichannel support experience to their customers. An engagement that starts with a chat can seamlessly move to an audio or video call and back to a chat. The UI for both end customers & internal employees is simple, straight-forward and easy to use. The UI is also responsive and adapts to a variety of devices. When we adopted the tool, we saw an increase in employee motivation due to the ease of use and its useful features that allow our employees to engage & resolve conversations faster. SaleMove's in-suite reporting function can be improved, but they can easily integrate with your internal databases, so your internal analytics team can report out on the various metrics. "The Perfect Solution for Customer Engagement"
SaleMove has provided us with the omni-channel solution that we have been searching for, allowing us to engage with our current customers and potential customers in ways that we never expected. After reviewing other co-browsing solutions from other vendors, the SaleMove solution stood out as the best in the industry. Nothing has stood out at this point in time. We were looking to expand chat to service customers in a timely fashion while driving more usage of our online capabilities. We have seen an increase in online usage across all of our platforms and our internal representatives thoroughly enjoy using all the features of engagement that SaleMove offers. "Seamless online contact with customers"
The ability to see, in real time, what the customer is looking at. Some of the reporting is kind of clunky. SaleMove has allowed us to provide a higher level of customer service. We help customers navigate the information on our website and fill out the online form. * We monitor all Glia reviews to prevent fraudulent reviews and keep review quality high. We do not post reviews by company employees or direct competitors. Validated reviews require the user to submit a screenshot of the product containing their user ID, in order to verify a user is an actual user of the product. Hi there! Are you looking to implement a solution like Glia?